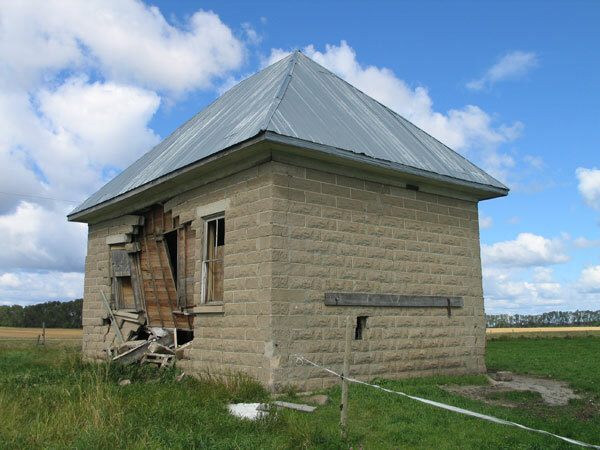 Matchettville School was formally established in May 1905 and, the next year, a school building was erected on the southwest quarter of 1-9-10 west of the Principal Meridian in the Municipality of Norfolk-Treherne. 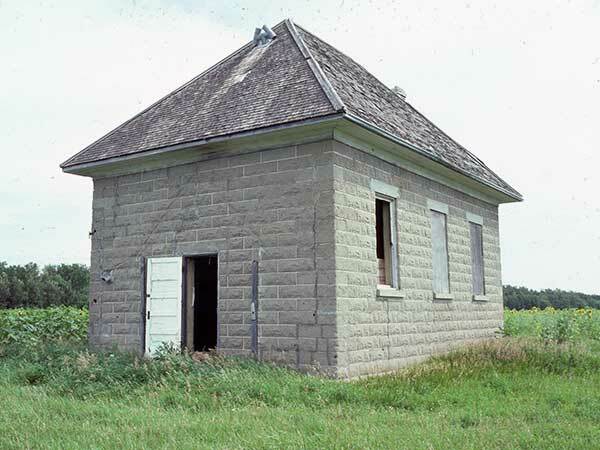 The structure was constructed of concrete blocks made near Austin, by the Thomson family, using a machine brought from Ontario. The school operated until 1951 when, due to declining enrollment, it closed after which students from the area went to West Treherne School. In June 1958, following a meeting at the school where School Inspector Richard Moore explained the virtues of consolidation, a vote was held to approve absorption of the school district into West Treherne as of January 1959. The building was sold to a local farmer for $1 and used as a granary. Its south wall was damaged extensively when a farm machine collided with it in mid-August 2003. 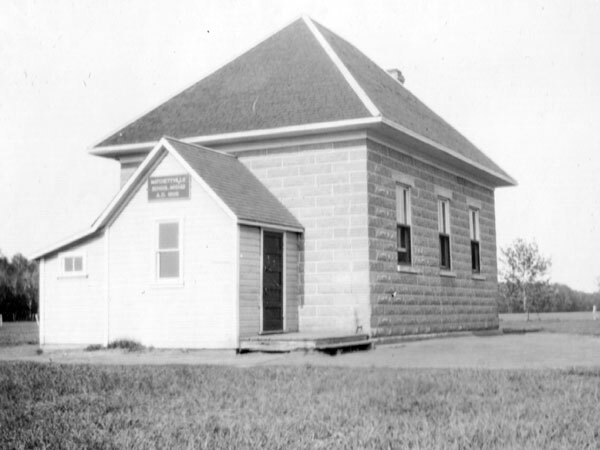 Among the teachers who worked at Matchettville School were Bert Parker (1907-1909), Kathleen Martin, Gertrude McNish, Annie McLeod, Eileen Uniac, M. Clinkenbroomer, Jessie McCreery, Alma Young, Laura Matchett, Irene Ross, Don C. Aldis, Agnes Lillies, Vera Lounsbury, Jean Sanderson, Florence Stevens, Luella Staples, Edith Barkwell, Elsie Emmond, Susie Gorrie, Freda Sanderson, Eleanor Brown, Alex Bissett, Miss McQuarrie, Ann Sutherland, Leona Foster, Anna Chambers, Mrs. C. M. King, Gwen Newcombe, Mrs. K. Chambers, and Ruth Kier. On the opposite corner of the road south of the church is a monument marking the former site of Matchettville United Church. GR8461, A0233, C131-2, page 101. Source: Historic Resources Branch, Public School Buildings Inventory, slide 1302. Tiger Hills to the Assiniboine: A History of Treherne and Surrounding District, Treherne Area History Committee, 1976, pages 60-61. We thank Pat Sparling, Craig Spencer, and Neil Christoffersen for providing additional information used here.